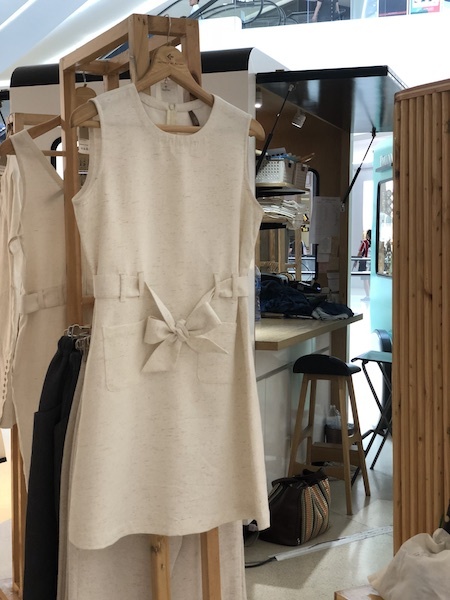 Some thoughts on sustainable fashion – and meet bamboo clothing brand Taktai! 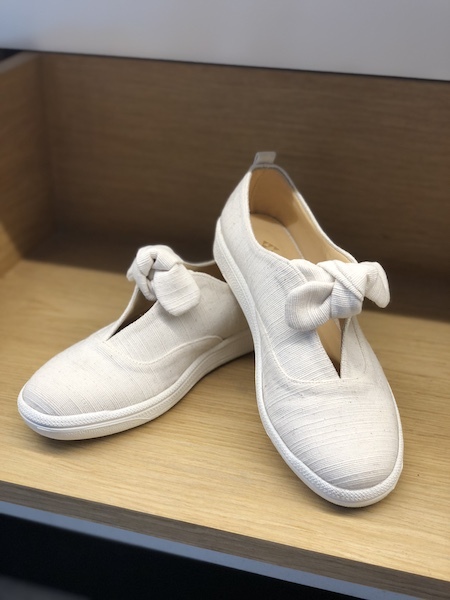 Sustainable fashion. It’s a topic I’m becoming more and more aware and passionate about. I love fashion but I don’t want to close my eyes for the dirty sides of it. So called “fast fashion” – cheap clothes produced by big chains – is the second most polluting industry in the world, after oil. Water pollution, the use of toxic chemicals and tons of textile waste are the ugly side effects of an industry that’s all about beauty. Let me be honest with you – I still haven’t figured my approach yet. It’s fun to follow fashion trends and if you don’t have an endless budget, fast fashion seems the way to go. But awareness is an important step. I have decided I want to find out more about sustainable fashion, beginning here in Bangkok, and promote it. And it promises to be a fascinating journey – there are many small brands here that make a difference on a daily basis! They use the most surprising materials – some time ago I blogged about the gorgeous colorful bags of Repleat, made out of old umbrellas. 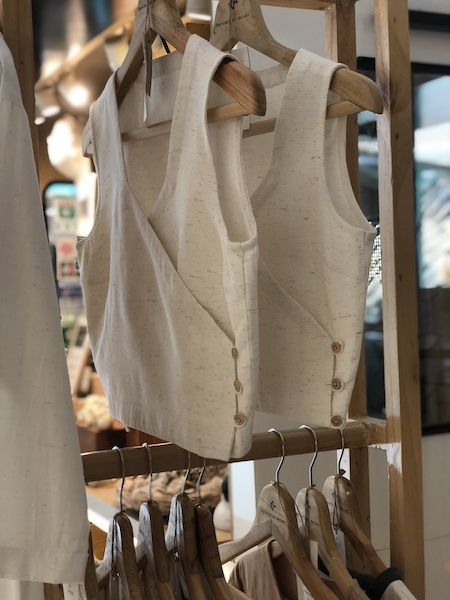 Today I’d love to introduce you to Taktai, a Thai brand making clothes and accessories out of bamboo! Meet Ziu, the power woman behind Taktai. Surprisingly enough, her career started in ICT programming. But soon enough she realized that that life wasn’t for her. So how did she come up with the idea to start a fashion label? She gave up her well paid job in ICT to start her dream project, determined to make it happen. But the start was rough to say the least. 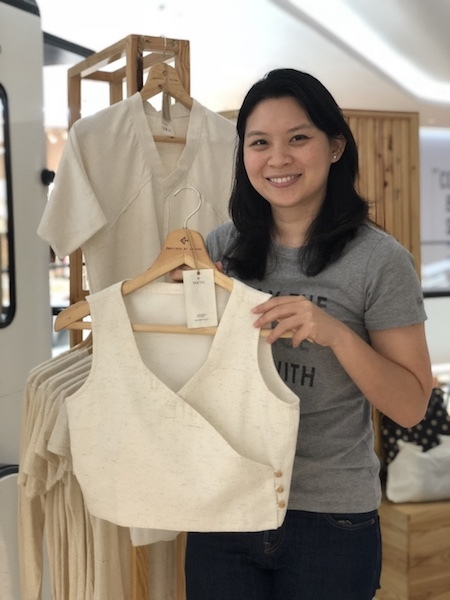 Ziu’s original approach didn’t go unnoticed – she won a prize as new eco brand and was offered a pop up in the Central Embassy mall in Bangkok. 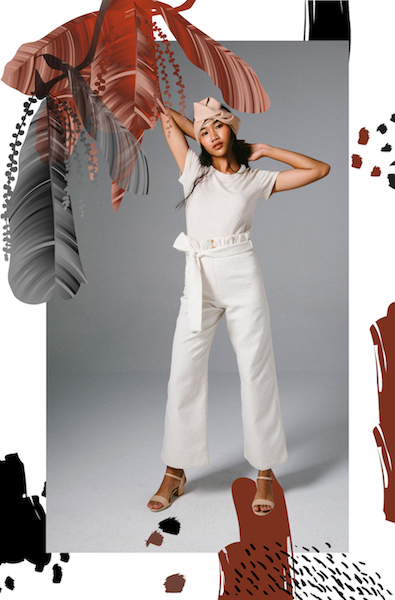 Her brand is growing and she makes her dream reality: spreading her ideas about how sustainable fashion can be pretty, fun – and 100% Thai! And where does the name “Taktai” come from? 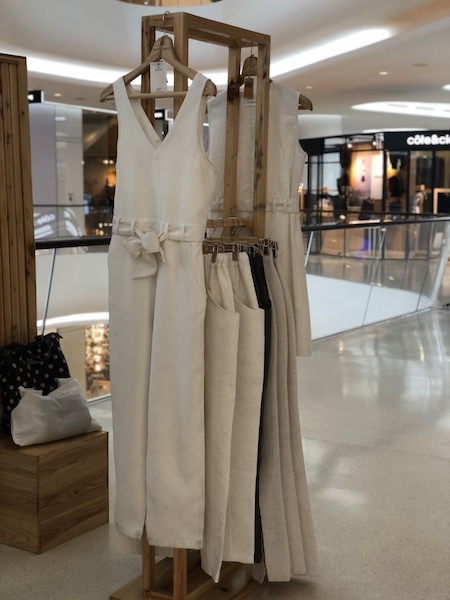 You can shop Taktai in Bangkok’s mall Central Embassy (pop up store on the 3rd floor). Check out their full collection on Instagram @taktaibrand, where you can order directly too (or via LINE @taktaibrand).